Australian Tanks is leading the way when it comes to large-scale trade waste arrestor solutions, and they have a clear philosophy that’s helping them do it. 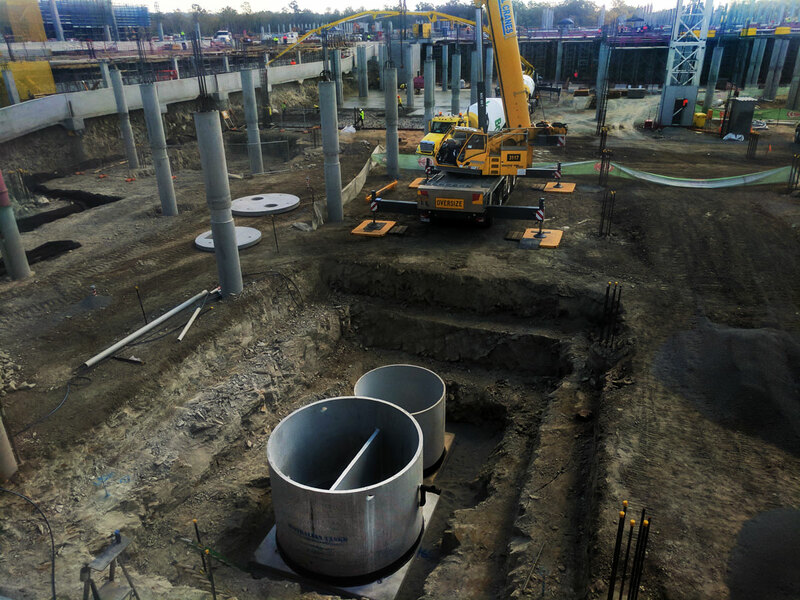 With their new range of trade waste arrestor tanks, they are helping reduce long-term project costs and getting jobs done faster and installed easier. Most project managers know that there is a lot that can go wrong on a build site. These problems can range from personnel injuries, bad weather, time delays, miscommunications with contractors, cave ins, undercapitalization, and other surprise costs that had not been accounted for. Increased costs and time delays go together when complex issues are not addressed effectively. Projects that were meant to take one month can end up taking two months, and costs start to climb far beyond what was initially allocated for spending. With the different potential problems that can happen on any build site, a business that can reliably get projects completed on time and on budget is sure to be noticed. That’s what Australian Tanks have managed to do with their products, specifically, with their trade waste-management arrestors. 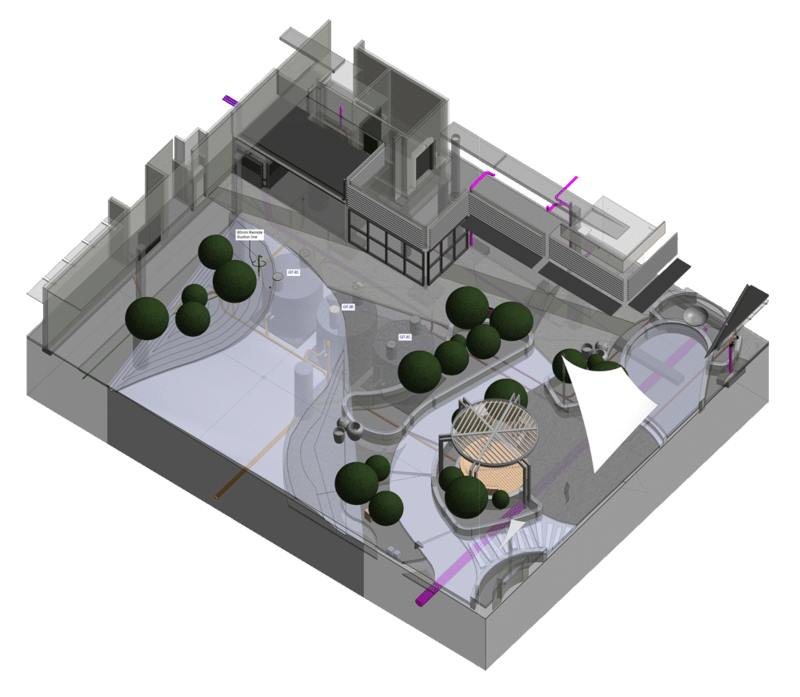 ​Westfield Coomera plan showing ATQ's Trade Arrestors underneath the food court garden. 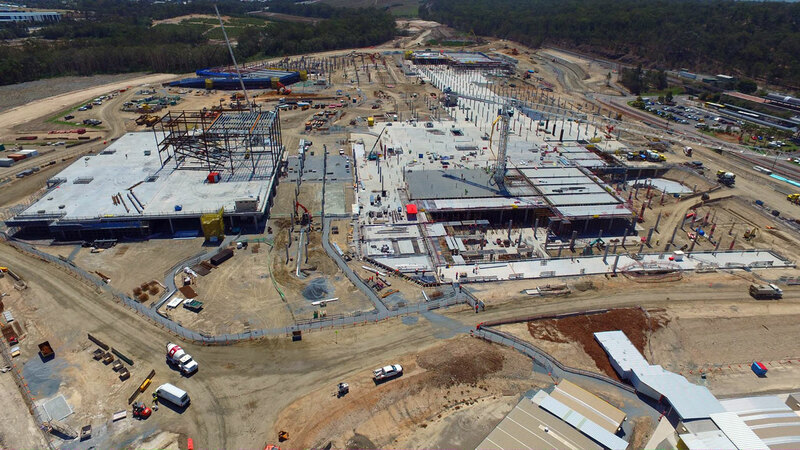 ​Recently, Australian Tanks was commissioned to help put in a Trade Waste Arrestor package for the new Westfield Coomera Shopping Centre precinct in South East Queensland. This project had its own unique difficulties, as this build site had deep invert levels which created a great deal of hydrostatic pressure. Not only that, but the original plans called for a number of small tanks rather than one or two higher capacity arrestors. This made the initial proposal more complex than it needed to be, but because of state regulation, it was hard to get larger capacity tanks approved. They were able to install two waste arrestors, one of them being a 16,000-litre capacity arrestor, the largest volume tank that Australian Tanks offers in their Arrestor range. Other companies have struggled to get the large arrestors approved by state authorities. It was different for Australian Tanks. They worked closely with local waste management officials during the conception of their current range of arrestors, so their tanks were pre-approved by the Gold Coast City Council. ​Quick, easy and efficent was the story with these arrestors. The arrestors that Australian Tanks provides are pre-cast and made with an anti-flotation design. That meant that there was no need for concrete trucks, extra personnel, water trucks, or any prolonged build process. The actual installation of the tanks was relatively straight forward. It only took a few days and there was minimal personnel risk. Les Green is the man in charge of Australian Tanks, and his ideas have been guiding the company over the last few years. Les has said that he’s a strong believer in creating excellent services and products that his clients can rely on. From his perspective, the more he helps his clients, the better his own business does. It was by listening to the main concerns many professionals in the construction industry that Les and the team were able to pinpoint the exact advancements that were needed to be made in waste management. Project managers wanted to have tanks installed quickly, with less risk and with less long-term cost. The team at Australian Tanks provided the solution with their pre-cast ultra-durable waste arrestors. Why are these waste arrestors so effective? There’s a number of reasons why Australian Tanks and their arrestors prove to be so effective. The first reason is that Australian Tanks work closely with local government to ensure that their arrestors are compliant with state regulations. They know that one of the main roadblocks to a construction project is dealing with local regulations. If these issues aren’t addressed in advance, then project managers they might be stuck with a project that gets held up for weeks, months, or even indefinitely. Australian Tanks has been in the business long enough to know that working closely with the local government is the way to complete a job quickly and easily. A lot of pre-cast arrestors aren’t designed for high trafficability, but the ultra-durable arrestors provided by Australian Tanks are. They are rated to bear heavy vehicle access, based on fully laden Semi-trailer loads. This is an advantage that a lot of project managers appreciate, because it significantly reduces the chances of the arrestors getting damaged after installation. The tanks also come with a 10-year warranty and a 50-year design life, which is made possible because of the toughness of their design. ​Another thing that a lot of project managers appreciate about the arrestors that Australian Tanks offers is that they’re installed quickly. ​Many arrestors in the market are difficult to install and end up being a costly, drawn out process with many requiring anchoring, strapping down and a more difficult backfill process. These processes require more workmen on the site, potentially leading to higher risks of workplace injuries, plus the time-delays increasing the overall project. The arrestors that we’ve been talking about so far have a lot of customization as well. The arrestors range from 1000 litre sizes all the way up to 16,000 litres. One of the tanks that was used for the Shopping Centre precinct was a 16,000-litre capacity waste arrestor. While some companies are unable to get the approval for tanks larger than 7000 litres, because Australian Tanks has worked closely with the state and local regulators, they are able to provide pre-approved large capacity tanks in many situations. Do you have a project that needs a cost-effective waste management solution?